Are you planning on having a bohemian wedding? 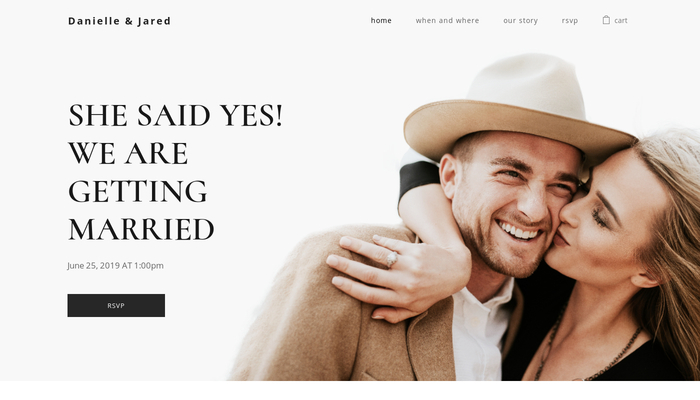 Then create your wedding website in the same style. This earthy template will easily guide you through it. 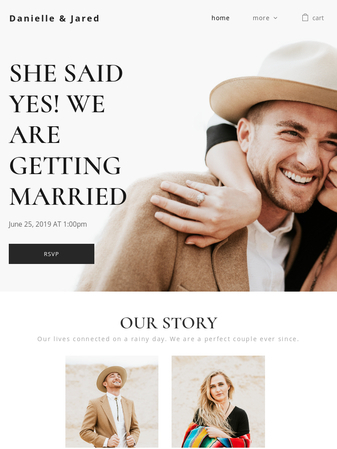 Share important details with all your guests and ask them everything you need to know for a smooth organization through a simple rsvp form.